Many mares become very sensitive when they're in season but if she's showing you she's in pain when you ride her, it may be time to get her some help. When mares come into season, they'll have significant hormonal changes that can result in discomfort and mood swings. These changes coincide with a rapid rise in oestrogen and the eggs being released from the ovary (ovulation). A normal season shouldn't prevent your mare from being ridden comfortably, but a severe and sudden change in temperament is likely to be pain related and this should be investigated by a vet. They can determine when you're mare's ovulation is and whether the behavior changes happen at the same time. It's important to remember that 'marish' behavior can be seen due to any form of pain and may not be related to your mare being in season. If in doubt, ask your vet. Make a note of the date your mare is in season, along with any symptoms you notice. There are several conditions related to excessive signs of being in season, including a granulose cell tumor that results in one excessively large ovary. Your vet will usually do an ultrasound scan of your mare's ovaries and uterus, as well as taking blood and other samples. 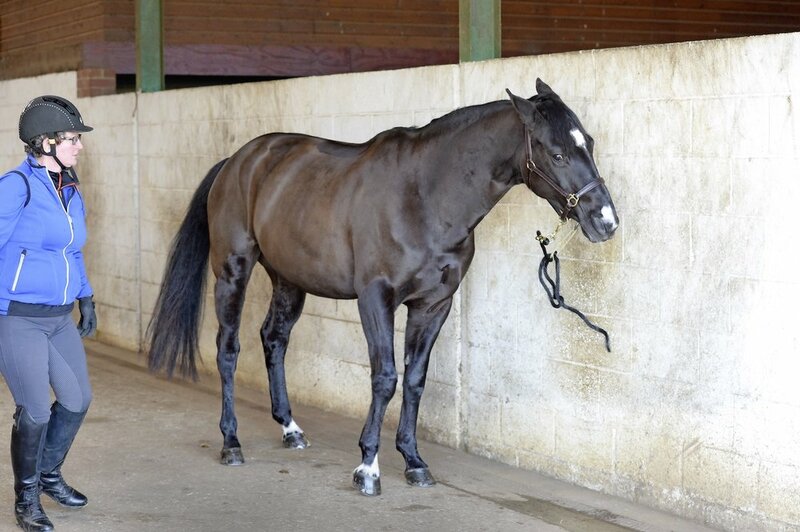 Before medical intervention, management and diet techniques should be evaluated to check if they're appropriate for your mare. It may be worth moving her away from antagonistic factors like other moody mares and colts, stallions or 'rig' geldings. There are medical options, such as injectable or oral hormonal medications that'll temporarily stop your mare cycling and suppress the hormone changes and, therefore, the possible associated discomfort. These can be used short term and shouldn't affect her future fertility. It's important that medical management is tailored to your mare's individual needs by your vet. If you're in any doubt about any pain response, seek advice from your vet.